The Extensible Messaging and Presence Protocol (XMPP) is an open standard for real-time communication. XMPP powers a wide range of applications including instant messaging. 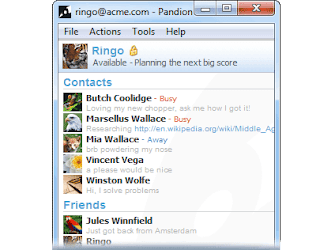 Pandion is an open source instant messaging client for XMPP networks. Pandion is compatible with any XMPP server, including Google Talk.